For practicing User Experience Designers, one of the most important laws isn’t Fitts’s Law, which helps us understand how to design interactive elements. Nor is it Hick’s Law, which describes how long people take to make decisions. It’s Sturgeon’s Law, which tells us that 99% of everything is crap. It’s easy to produce a poor quality result—anyone without the critical skills is capable of it and there are a ton of those people floating around. Yet if we want to be really excellent at what we do, what are those essential skills? What should we be practicing to become a master? This is exactly the question we set out to answer as we studied the work of the master UX professional. These masters were folks from all different disciplines within the UX world—interaction design, information architecture, user research, copywriting, and visual design. While they produced different deliverables and end products, it was clear that each of the masters we talked to had built their mastery upon some common skills—skills that turn out to be indispensable when they’re trying to produce excellent results. Someone once said that talking about design is like performing interpretive dance about architecture. Words, while critical, often don’t do our ideas justice. A quick sketch about a design—what it will look like, how information flows from one place to another, how the users move between activities—often is the best way to get our ideas across. The masters we talked to gravitate to sketching easily. They aren’t embarrassed by how ugly their sketches are (and, by the way, they can be quite ugly) or how silly they might look (quite silly too). They focus on the ideas behind those sketches. We’re talking back-of-the-napkin quality stuff. Thick pens, broad strokes, simple stick figures. It’s not the Mona Lisa or the best work of the Impressionists. We asked each master how they obtained their sketching skills. Their answer? They practiced—in meetings, at their desk, waiting for their kid to finish soccer practice. They just kept drawing and doodling and sketching thoughts that came into their mind. They would write the same phrases over again, to improve their handwriting’s readability. Sketching isn’t hard, but it’s a learned skill. Once learned, it becomes an effective part of the communication mix. One of the things that separates humans from all other species is our ability to enjoy a good story. (You don’t find mice sitting around a campfire recounting their recent life-threatening encounter with the farmer’s wife.) We love to hear stories and we worship those among us who can tell the best ones. In the sterile, fact-filled workplace, we don’t think of stories as being a critical skill. Yet stories can inspire. They can illuminate. They can help us empathize with those we’re designing for. Telling a great story was another common trait of all the masters we talked to. When we asked them to describe something they had accomplished, they didn’t just describe the result, they told how they’d accomplished it. They told us what problems it solved, who they talked to in the research, and how they convinced their team members to focus on the best parts. They did it in a totally fascinating way. Our attention was riveted. Storytelling, like sketching, is a skill they regularly practiced. They told the same story over and over, watching how their audiences responded. When the audience responded with the right ideas, they knew they’d succeeded. When they didn’t, they changed their story until they got the effect they were seeking. There are elements of good stories that the masters understood: characters, plot lines, the journey the protagonist takes, the challenges they face. These things make the story interesting and entertaining. But they also make them informative. Like sketching, telling a story is an essential skill to becoming a master. Keep it fresh. Keep it interesting. Most importantly, keep it relevant and information-packed. It’s rare to find a UX master who works completely by themselves. Instead, they are part of a team, collaborating on the designs they create. Part of the collaboration is delivering and receiving feedback. Great design succeeds through iteration. Each round of changes is best when it’s informed by the experience and knowledge of the others around us. We don’t hear much about critique. The folks who are best at it can deliver constructive feedback that helps us better understand what we’re trying to do and how we can do it. Those folks are also great at receiving the feedback by empowering our thinking process and helping us understand how to be better problem solvers. Critique goes beyond criticism. It explores what the design’s objectives are. It looks into how the users will solve their problem and move through the design. It’s a discussion, where nobody is right or wrong, instead we fully explore the landscape of the problem. A great critique is an engaging, energizing, and empowering session. Everyone feels they’ve learned something new and grown professionally. Mastering this skill enhances our teamwork, while enriching our designs. Presentations are a UX master’s staple. They are always presenting ideas to their teams, their work to their management and others inside their organization, and their methods and results to their peers at professional gatherings. At the core of a great presentation is storytelling. It’s boring to just list the facts, so embedding it into a memorable and engaging story is key. But great presentations go beyond the storytelling component. They are multimedia events, involving live action, sound, and visuals. Presenting involves writing, orchestrating, choreographing, and producing. Great presentations also involve a new level of attention on the part of the presenter. A great presentation, in itself, is an exercise in designing an experience. Understanding how to listen to your attendees is an essential component of crafting the experience you’re creating for them. It’s easy to stand in front of a crowd and walk through a slide deck. It’s much harder to create a meaningful presentation that persuades, engages, and rocks the world of the audience. Some, those who have mastered presenting, make it look easy. However, the great presenters put tremendous effort into their craft. They practice frequently, editing their presentation with fine precision, making sure every moment has the audience right where they intend. It’s a performance-based skill that looks easy, but is hard to pull off well. Improving this skill will make you an indispensable voice of your team and organization. Frankly, when I started working on this article, I wasn’t thrilled with the name of this skill: facilitating. It sounded so administrative, so boring. And this skill is anything but boring. It’s essential to great, collaborative design. The facilitator is a momentary leader. They step in and take over, with everyone’s support and respect, to push through the group’s next activity. Team members often take turns facilitating, spreading the effort around, giving everyone a chance to guide the team for that moment. The best facilitators have a full toolbox of tricks. They know when the whiteboard works and when it constrains the conversation. They understand how to use sticky notes or index cards. They know how to separate valuable explorations from wasteful digressions, as the team works through the session. They know when to assert their own point of view and when to play a neutral role. Folks who master facilitating are always looking for new tools and tricks. They are in search of new ways to get the team to consensus, to agreement, to assigning and delegating. A great facilitator is indispensable to their team, helping them move closer to success with every get together. So, there we have five skills for UX mastery. These skills aren’t unique to the user experience profession, but it’s clear from our research, the best professionals work hard to master them. These skills—sketching, storytelling, critiquing, presenting, and facilitating—are all communication skills. They are all collaboration skills. They are skills that help us make every design better. These are indispensable skills to have, which, in turn, make us more valuable (and more indispensable) to our teams. Published here on August 3, 2010. 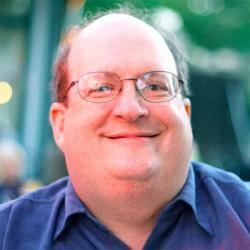 Hiring UX Experts Versus Giving Your Team Their Own UX Skills by Jared M. Spool Jared Spool shows the benefits of a UX-aware team.